The outer eastern suburbs of Melbourne turned on a glorious autumn day for the beginning of the 2018 XCR season. 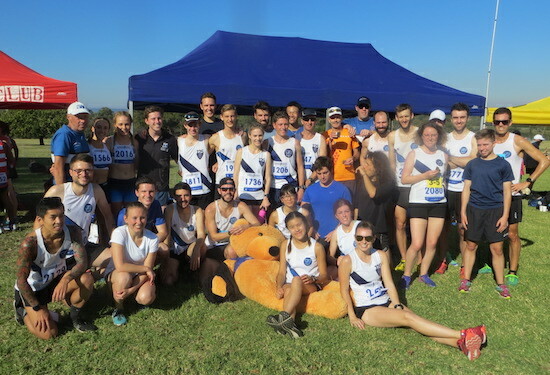 A first-round record of 47 MUAC athletes made the trip down to the serene Jells Park for a deceivingly difficult 6km relay, including many pulling on the sash for the first time. The result was a set of consistent performances across all divisions, showcasing the current depth of distance running at the club. 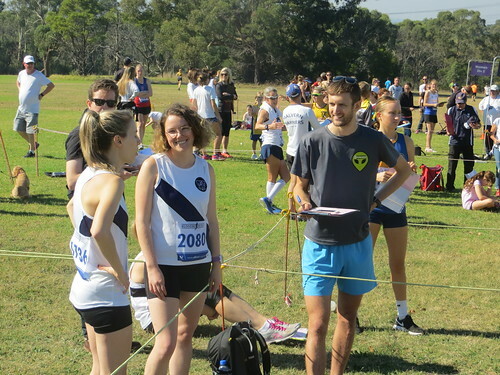 In Women’s Premier, Lucinda Buckley and Sarah Lucas were in the blue, black and white for the first time at XCR, while Emily French was making the step up from Under 20 to senior competition. Despite some pre-race nerves, the result was a valiant 9th, with Pippa Trevalla and Ruby Turner also turning in solid performances on a warm day. With a respectable 4th, the women’s under 20 team were unable to replicate their silver medal from 2017. However, some excellent running from Anna Louey, Ciara Boyd-Squires Long and Emma Hogan saw them fall just 34 seconds short of a podium finish, perhaps foreshadowing another strong season for the club’s only junior team. The other women’s team for the day was in Division Three and finished 8th. Debutants Danielle Zhang and Kristina Balewski ran strongly, while Kate McClure and Marie Parsons also displayed some good early season form. The Men’s Premier team, facing several Commonwealth Games and Olympic representatives, were also unable to replicate their medal from last year. 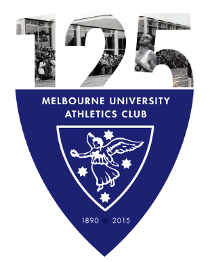 However, thanks to an anchor leg from senior MUAC forecaster Dr. Nicholas Earl, they were able to reel in Glenhuntly for 6th. Brothers Reilly and Cassidy Shaw were impressive on debut, while Earl apparently learned from last year’s prediction of torrential rain (there wasn’t a drop) and let everyone enjoy the prospect of bright sunshine. The other men’s teams produced some outstanding running, particularly in the lower divisions. While Divisions Two and Three were both mid-pack in seventh, the Division 5 team, captained ably by Daniel Brundel and with a rapid leg from returning expat and MUAC veteran Matthew Schepisi, finished third. Nick Parkinson also ran well on return from the University of Granada, while Leigh Sherman was another making a strong start to his MUAC career. The Division Six Men also finished third, with Brian O’Donoghue and Rob Vukman putting in efforts that may well have selectors thinking about a move up the divisions as the season progresses. In Division Seven, club President Hamish Beaumount and Luca Trimboli led an inexperienced team to second, the highest finish for the day, while Alistair Perkinson ran well in captaining the other Division Seven team. The venerable gentleman of the Men’s 50+ team rounded out the card with 7th. The day was capped with the best spread seen at the MUAC marquee in a number of years, a plethora of baked goods serving as a much needed restorative for some weary runners. Particular thanks should be paid to all those who volunteered on the day, especially to Peter Gaukrodger for rallying the troops. MUAC will be back in action on Saturday May 5 at the newly minted XCR venue of St. Anne’s Winery for Round 2.